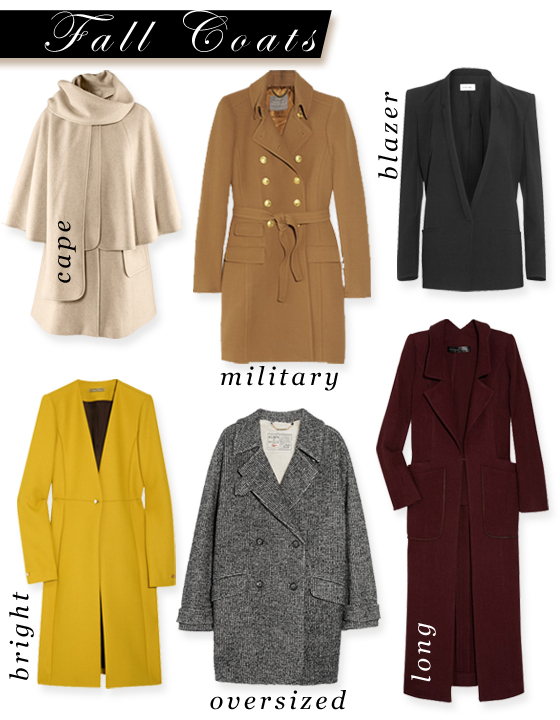 Investing in a new coat for fall is the easiest way to revive your wardrobe this season. A great coat can pull together almost any look. Try throwing on a cape for a completely effortless vibe or add a bright pop of color to stand out. Want something a little more classic? You can't go wrong with a slim blazer or a strong military coat in camel.